There is a great deal of confusion surrounding the Master Jesus among Theosophists and Anthroposophists. Theosophists believe that the Master Jesus was Jesus of Nazareth in a previous incarnation and rank the Master Jesus among the other spiritual masters. Anthroposophists believe that Jesus of Nazareth received the being of the Avatar Christ into his body for the three years of his ministry, between His baptism and crucifixion. According to Steiner, the incarnation of Christ into Jesus was the “turning point in time,” and will happen only once in history. Steiner also indicates that there were two Jesus boys, one from Nazareth and another who was the reincarnation of Zarathustra, also known as Zoroaster, the great Persian Bodhisattva. The distinctions between what Theosophists and Anthroposophists believe about the Master Jesus and Jesus Christ are quite different. This article hopes to shed light on Rudolf Steiner’s view of Zarathustra, who later came to be called the Master Jesus, and clarify one of the fundamental differences between the two esoteric philosophies. According to Rudolf Steiner, Zarathustra was a student of the Great Avatar Manu, the spiritual leader of the Atlantean Sun Mystery Temple, in the City of Manu in the Central Asian Mystery Initiation Center around 7000 BC. Zarathustra is a human initiate filled with the wisdom of a Bodhisattva who has risen up to an angelic and archangelic view of the world through his many incarnations. 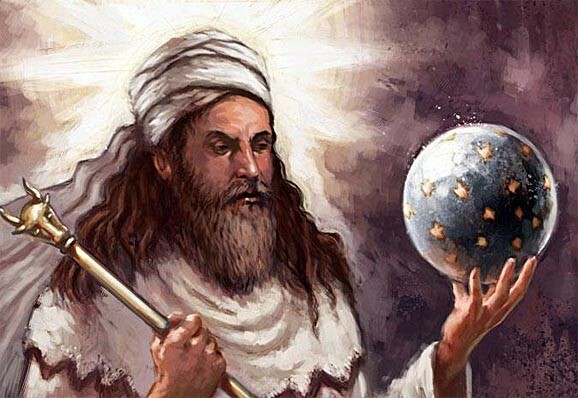 Zarathustra, or Zoroaster, led the ancient Persian culture from 5067 BC until 2907 BC through the age of Gemini developing the human etheric body; modern Zoroasterism is a late derivative of this Ancient Persian culture that we know only slightly through the existing records. Zarathustra, the principle leader of the Ancient Persian epoch, wrote the Gathas, the Zend Avesta, and the Chaldean Oracles and domesticated most of the farm animals we still eat today and many of our grains and vegetables. He crossbred the lily with the wild grasses to create modern grains, and the rose with vines and trees to create many of the strains of fruits that we still eat today. Zarathustra was the priest-king who created the laws and ordered all aspects of culture, just as Manu had done through the Holy Rishis for the ancient Indian Epoch from 7227 BC to 5067 BC. Zarathustra also acted through the astral body of Hermes who led the Egyptian culture just as Zarathustra led the Persian and Manu the Indian. Hermes wrote the Egyptian laws, temple rituals, dogma of the religion, and ordered all planting, building, and other aspects of culture and religion. Zarathustra acted through the etheric body of Moses, who led the Hebrew people as its holy prophet and guide together with his brother Aaron who was a high priest. Moses created the first five books of the Old Testament and essentially ordered all Hebrew religious and cultural life. Zarathustra incarnated again in Jesus of Jerusalem (Jesus of the Gospel of Matthew) who was predicted by the star of the magi that brought Persian astrologers to Jerusalem to greet the King of Kings. 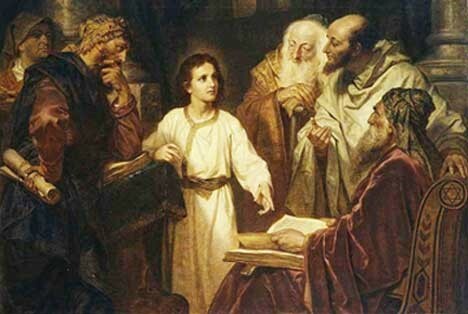 Jesus of Jerusalem merged with Jesus of Nazareth at age twelve in the Temple of Jerusalem as the Bible insinuates. All of the human wisdom of Zarathustra’s many incarnations become available to Jesus of Nazareth due to the sacrifice that Jesus of Jerusalem made by surrendering his consciousness into the young Jesus boy of twelve years old. After Jesus of Jerusalem’s death, Zarathustra overlights Jesus of Nazareth from the spiritual world and witnesses the descent of Christ into Jesus of Nazareth at the baptism in the Jordan. Jesus of Jerusalem, who was formerly Zarathustra, poured his wisdom into Jesus of Nazareth after their meeting in the Temple of Jerusalem when both boys were twelve years old. The Jesus boy who we recognize as the reincarnated Zarathustra is known today as the “Master Jesus” who incarnates every century and often alternates incarnations with Saint John the Divine. Some of the Master Jesus’s incarnations have been speculated upon, but little is known accept that he has had numerous incarnations where his identity is not recognized in outer history. He often works behind the scenes. What is known is that he was Zarathustra, Hermes, and Moses before his incarnation as the Master Jesus (Jesus of Jerusalem), who is different than Jesus of Nazareth who received the Avatar Christ into his body at age thirty. Zarathustra’s Ancient Persia is somewhat unimaginable for the modern thinker who cannot picture living in a culture lead by a semi-divine being who speaks directly with the forces of nature and can manipulate them. This type of direct communication with higher beings was typical of all cultures on the earth at that time. The shaman, or priest-king, created a divine city that reflected a divine nature and ordered all things within the city as nature orders her kingdoms. The architecture of temples reflected the understanding of the heavens and the higher hierarchies that embody those active spiritual realms. “As above, so below” was the guiding principal of the Egyptian Mysteries where the secrets of nature lay hidden behind the veils of Isis, the goddess of nature and wisdom. “I am Isis, no man hath lifted my veil and lived” was the inscription at the Temple of Sais. But Hermes lifted the veil of nature and philosophy and wrote the sacred textbooks of Egyptian life from the wisdom that he witnessed behind the veil. Again, like the incarnations of Zarathustra, there were numerous incarnations of Hermes wherein he gave out the core of Egyptian priest-lore, philosophy, and divine dogma that ruled Egypt for centuries. The power of the priest-king was tantamount to divine. Through the inspiration of Rudolf Steiner, we know that the being of Hermes Trismegistus used the perfected astral body of Zarathustra. In this manifestation of the spirit of Zarathustra, Hermes used this perfected vehicle of Zarathustra to understand the stars and the great rhythms of time as they effected mankind. Hermes laid down the spiritual and temporal laws of the land, just as Zarathustra and Manu had done before him. This same type of priest/king power was given to Hermes. We can see the developing astral body of Zarathustra manifest more fully into Hermes’s Egyptian body — which is more and more taken up by impulses of physical, material concerns. A strong need to build the bridge to the starry realms was aided by focused preparations of the physical body for the journey into the after-life. The normal Egyptian had lost direct contact with the divine. The priest-king was the hierophant who initiated the prepared candidate for wisdom. In the inner chamber of the pyramid, the candidate was led into the realm of the stars (astral) through the intervening presence of twelve hierophants, who represented the twelve zodiacal forces raying into the body of the candidate who was lying in a death-trance in the sepulchre. The gods and goddesses of the Egyptians embodied the hierarchy of virtues for the Egyptians and gave them models to emulate. Hermes was seen as divine and human, just as in Ur, King Gilgamesh was both god and human. Hermes communed with the gods while Gilgamesh wrestled with and killed gods. Osiris is Father of All, and yet killed by his brother, Seth. Osiris, Sun God, then becomes the God of the Underworld, and his son, Horus, becomes king. Osiris and Isis give birth to Horus, who becomes greater than either parent. Horus, the inspirer of pharaohs, ruled the land for centuries through the prescribed laws and rules of Hermes, the high-priest of Egypt. Hermes pronounced the words of the divine gods and stands as a bridge to the divine lands beyond the stars and death. The Sun-Wisdom of Egypt stood in contrast to the Moon-Wisdom of Summeria, Chaldea, Akkadia, Babylonia, and the other cultures of the near-east. The great hieroglyphs of the Egyptians are still mysteries to be decoded, whereas the phonetic alphabet of the Akkadians and Hebrews, lead modern humanity into exploration, trade, and commerce. The picture language of Hermes evolves into the written phonetic language of the Hebrews, who are forbidden to make pictures of the divine. We can see the great atavistic clairvoyance of the past turning into the individualized materialistic thinking of our age. This can be seen in the development of the Hebrew people, who were both independent from and part of Egyptian history. Moses married Deporah, daughter of Jethro, a priest of Babylon. He was raised as a prince of Egypt and he suffered the burden of a Jewish slave. He had access to the Egyptian temples and priesthood and yet found the “one God” in a burning bush, from which he made a staff that had magical powers over nature. Moses knew God and witnessed Him carving the Ten Commandments on stone tablets. Moses built the ark of the covenant and led the Hebrews with many miracles and wondrous signs. His religion was close and personal, while the religion of Hermes was distant and impersonal. Moses took the next step to bring the divine closer to the soul of humanity. Moses mastered the etheric body and used the perfected etheric body of Zarathustra that is preserved in the etheric sheath of the earth that is called, New Jerusalem or Shamballa. Hermes mastered the stars which is the astral realm of time or the human astral body. Moses used the perfected etheric body of Zarathustra found in the realm of spiritual economy (Shamballa). These perfected etheric and astral bodies of Zarathustra can be replicated for the use of any person who needs to embody the perfected archetype. These two historic uses of replicated astral and etheric bodies of Zarathustra are significant steps in the development of humanity as a whole. Zarathustra was a student of Manu, both on Atlantis and again in the central Asian mystery initiation center. Under the tutelage of Manu, in the Sun Mystery Temple of Atlantis, Zarathustra was shown the seven mysteries and their dominions. The Seven Holy Rishis focused these planetary forces through the Sun Mystery Temple and the surrounding Heavenly City. These plans of a heavenly city are found again throughout Aryan sun-based religions. The ‘Holy City Four-Square’ is used as the basis of city planning by the Harappian, Trochaian, Persian, Summerian, Babylonian, Chaldean, and Anatolian cultures. The city revolves around the main Sun Temple and an elaborate system of canals. Water flows out in four directions surrounding the magnificent crystalline structure of the city. There are Harappian cities in the Indus Valley that housed over 10,000 inhabitants with multi-story construction complete with plumbing and lighting throughout. 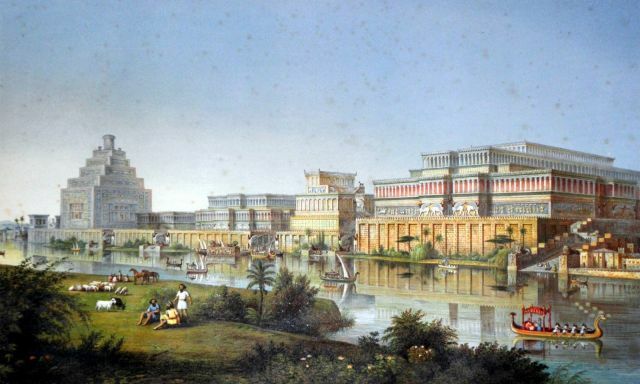 These cities are now being found to be as much as 10,000 years old with complete, highly developed architectural plans. These heavenly plans of the priest-kings came from the same source, Manu, and the tradition he developed and disseminated after the sinking of Atlantis. Indian, Persian, Summerian, Egyptian, Chaldean and Babylonian mythologies are very similar and originate from a time of Edenic peace before the Atlantean Flood. When dissembled from the many cross-migrations that have happened since 10,500 B.C., mythologies agree that spiritual revelation lay in the hands of priest-kings who led their people through the cultural development that their folk-tribe-nation had to offer as an advancement of general cultural evolution. In those ancient times, the individual’s needs were secondary to the city-state-kingdom, that is, until Moses lead the Hebrews out of slavery into independence in the deserts of Arabia. Was Moses a priest-king? He needed his brother Aaron and his rod to rule the Hebrew tribes. Moses, like Hermes and Zarathustra before him, had a direct revelation of God. The Hebrew people had faith in his faith. Again and again, Moses had to demonstrate signs and wonders to the Hebrew people to keep their faith alive and focused on the One God. But even a direct connection to God didn’t earn Moses the reward of entering the land of milk and honey. Moses died before he could receive his physical reward, preparing him for the next incarnation where he would complete his task of helping his people see heaven on earth. Moses laid out the Holy Books (Pentateuch) and the law for the people to follow. Moses wrote the doctrine and acted as judge, prophet, and leader. The Sun-Wisdom of Egypt’s astral-vision is mixed with the Moon-Wisdom etheric force of Mesopotamia and the “new human” is given birth as an independent thinker inspired by the forces of nature’s etheric and astral mysteries. Moses had the power to embody the forces of God and nature and to speak for God to an entire nation. Miracle after miracle strengthened Moses into the penultimate man of faith. Mana in the wilderness, water from desert rocks, and the trials of forty years tempered Moses into a true Son of God, a witness of the divine. We could say that the cultural seeds of Manu took root in his student Zarathustra who planted them anew in the cultural development of Egypt and the Hebrews. Hermes and Moses advanced their cultures in the development of modern human thinking. Hermes received the messages from on high and brought them to the Egyptian people who were pleased to live their lives accordingly. Moses wrestled with the people of Judah, to turn them again and again to the One God. Moses took on a physical task that Hermes did not; Hermes tamed the dragon of the Nile, but Moses parted the Red Sea and brought the plagues of Egypt to win freedom for his people. Both were conduits to the divine and messengers of the spiritual hierarchies. If you remember all that has been said in past lectures concerning the development of Jesus of Nazareth — the history of the Jesus-child in whom up to his twelfth year Zarathustra lived, and the history of the other Jesus-child in whom Zarathustra then lived up to his thirtieth year — you will certainly say: Here we have to do with a special man, a man for whose existence the world’s history, the world’s evolution, made the greatest preparations, evident from the fact that two human bodies were formed, and in one of them up to the twelfth year, and in the other from the twelfth to the thirtieth year, the Zarathustra-individuality dwelt. Since these two Jesus-figures were such significant individualities, Jesus of Nazareth certainly stands high; but not in the same way as an Adept does, for the Adept goes forward continuously from incarnation to incarnation. And apart from this: in the thirtieth year, when the Christ-Individuality enters into the body of Jesus of Nazareth, this very Jesus of Nazareth forsakes his body, and from the moment of the Baptism by John — even if we do not now speak of the Christ — we have to do with a human being who must be designated in the truest sense of the word as a ‘mere man’, save that he is the bearer of the Christ. But we must distinguish between the bearer of the Christ and the Christ Himself. Once the body which was to be the bearer of the Christ had been forsaken by the Zarathustra-individuality, there dwelt in it no human individuality who had attained any specially high development. The stage of development shown by Jesus of Nazareth sprang from the fact that the Zarathustra-individuality dwelt in him. As we know, however, this human nature was forsaken by the Zarathustra-individuality. Thus it was that this human nature, directly the Christ-Individuality had taken possession of it, brought against Him all that otherwise comes forth from human nature — the Tempter. That is why the Christ could go through the extremities of despair and sorrow, as shown to us in the happenings on the Mount of Olives. The forces which the individuality develops, however, are not in the external sheaths. They lie in the life-thread of the Ego, which goes from incarnation to incarnation. Thus the forces which belonged to the Zarathustra-individuality, and were present in the body of Jesus of Nazareth, preparing that body, pass out with the Zarathustra-individuality. Hence the sheaths which remain are a normal human organism, not in any sense the organism of an Adept, but the organism of a simple man, a weak man. And now the objective event occurs: for through the Baptism by John in Jordan the Christ-Being entered into the threefold organism. In this organism the Christ-Being lived from the Baptism until the thirty-third year, until the Event of Golgotha, as we have often described. Whose concern, then, is the life of Christ Jesus from the thirtieth to the thirty-third year? It is not the concern of the individuality who went from incarnation to incarnation, but of that Individuality who from out of the Cosmos entered into the body of Jesus of Nazareth; the concern of an Individuality, a Being who was never before connected with the earth, who from out of the Universe connected Himself with a human body. In this sense the event which took place between the thirtieth and thirty-third years of the life of Christ Jesus, between the John-Baptism and the Mystery of Golgotha, are those of the Divine Being, Christ, not of a man. Hence this event was not a concern of the earth but a concern of the super-sensible worlds, for it had nothing to do with a man. As a sign of this — that it had to do with no man — the human being who had dwelt in this body up to the thirtieth year forsook it. Esoteric Lessons, 1904-1909: Lectures, Notes, Meditations, and Exercises by Rudolf Steiner, Notes of Esoteric Lessons from Memory by the Participants. Rudolf Steiner. Translated by James H. Hindes. December 21, 1908, Berlin. Manuscript from Camilla Wandrey. The venerable Zoroaster would not have been able to reflect upon what was given to him in moments of transcendence. He received at such times influences from the spirit of the Sun in a direct way; he saw Ahrua Mazda and in him the Christ. He prepared the impulse that Christ was to bring to the Earth. He initiated his pupil Moses in the following way: one day at noon when it was new Moon, he allowed Moses to see by means of a power that he sent to his head, the Moon spirit – the devachanic sounds of sunlight reflected. Hermes he initiated directly into the secret of the Sun spirit. He allowed him to see the Sun at midnight through the transparent Earth, after he had previously received from Zoroaster the power of the Sun spirit. The Osiris-Isis-Horus religion came from this. Zoroaster appeared again as Zarathos or Nazarathos and was the teacher of Pythagoras, who led the mysteries in the age of the Greeks as a final preparation for the appearance of Christ. The king under whom Zoroaster taught was later incarnated as Cyrus; and later in the Middle Ages Cyrus was again a king. Moses was initiated with the forces of the astral body; Jesus spoke through the “I” to us, which penetrates all three bodies. Zoroaster had given the forces of his own etheric body to Moses, those of his astral body to Hermes, and he gave his “I” to Jesus. As Zoroaster himself he worked through his physical body. December 28, 1908, Berlin. Record from anonymous. Zoroaster – his earthly protector was king Vischtasp, who later, as Cyrus, spread and consolidated the teachings of Zoroaster. Nazaras or Nazaranos, Chaldean initiate, was the “I” of Zoroaster. He inspired Pythagoras, who thereby spread Christianity in Greece. Then the “I” of Zoroaster was incarnated in Jesus of Nazareth, who was for this reason able to receive Christ himself into his bodies. Zoroaster had his pupils: in Hermes his teaching reached as far as the astral body, in Moses as far as the etheric body, in Pythagoras as far as the physical body. Hermes’ initiation happened at Christmas time, and he saw what was later to be given to humans in the mystery of Golgotha. He beheld the entire evolution of the planet and what was connected with it. Moses’ initiation went into his etheric body. Zoroaster could give him something from his own light-body. In bad weather, storm and fog he could only see the Sun weakly, but he could see the Moon clearly in its first quarter. For this reason Yahweh later appeared to him in the burning bush. Pythagoras’ initiation went into his physical body. He brought this to humanity in his propositions. The seven holy Rishis were led by Manu, each one of which was initiated in the mysteries of one of the planet; Zoroaster, however, was initiated in the mysteries of the Sun, the Christ himself. Ordinary history records only a relatively late Zarathustra because historians are unaware that it was customary in ancient times for a successor to receive the name of a great leader from the past. I am here referring to the greatest of all Zarathustras, who was one of the most intimate disciples of the Initiate of the Sun Oracle, Manu. His task was to find the connection between the physical and the spiritual world. He had to teach his disciples that the physical sphere of the sun is the body of spiritual beings who have their abode on the sun and that this whole physical world should be viewed as the members and limbs of the physical body of divine-spiritual beings. Just as the sun is surrounded by a great aura, so the human being is surrounded by his or her own small aura, which is a microcosmic expression of the sun’s great aura. The sun is the body of the Sun Spirit who revealed himself in the Sun Oracle of the ancient Atlantean epoch. Zarathustra beheld this spirit in clairvoyant vision. He also designated the aura of the sun as Sun Spirit, and this is the same being whom he also called Ahura Mazdao, or Ormuzd. Zarathustra taught his disciples to see Ahura Mazdao in the physical sun and not to be led astray by Ahriman. Ahriman has lived in the physical world since the last third of the Atlantean epoch and attacks the human soul through sense perception from the outside. Zarathustra had to kindle in the hearts of humans the love for the great Sun Spirit, and he did this in powerful words that cannot be adequately rendered in our modern languages. All the magnificent words that you find in the Vedas and Gathas, no matter how beautiful, are but a feeble superficial expression of the great and lofty words originally uttered by Zarathustra. Zarathustra had two disciples. To one of them he revealed through spiritual means everything that one can perceive with clairvoyant astral organs. This disciple was reincarnated under the name Hermes, the Egyptian Hermes. To the second disciple he imparted truths that one can know through the clairvoyant etheric body: the wisdom of the Akasha Chronicle. This second disciple was Moses, and you can find the wisdom imparted to him in the Book of Moses of the Old Testament. When the first disciple was reincarnated as Hermes, he bore within him the astral body of Zarathustra, who had revealed to him not only his teachings, but also his own nature. Such a transfer is possible for what Hermes had received was nothing else but the astral body Zarathustra had sacrificed for him. Hence it was Zarathustra’s wisdom that Hermes, the founder of the third post-Atlantean epoch, proclaimed. The other disciple, to whom Zarathustra had given wisdom through the etheric body, was also born again. When he reincarnated, the etheric body that Zarathustra had sacrificed was woven into him. This disciple was Moses. You can find such facts recorded in religious documents, but in a veiled manner only. Read the story of the birth of Moses. What happened then? The child was placed into an ark of bulrushes which was then put into the water. What does that mean? It means that he was completely cut off from the world. His ego and astral body were not to become manifest until they were permeated by the principle of the etheric body. The Being who was the teacher of the holy Rishis, of Zarathustra, of Hermes — the Being whom we may designate as the great teacher, who in the different ages manifests Himself in the most various ways — the Being who as is natural, at first remains entirely concealed from external vision — is designated, by means of an expression borrowed from the East, as the totality of the Bodhisattvas. The Christian conception would designate it the Holy Spirit. The Bodhisattva is a Being who passes through all civilizations, who can manifest Himself to mankind in various ways. Such is the Spirit of the Bodhisattvas. All the ages have looked up to the Bodhisattvas. The holy Rishis, Zarathustra, Hermes and Moses looked up to them — it matters not how they named the Being in whom they perceived the embodiment of the Bodhisattva principle. The Bodhisattva can be given this one name, ‘The Great Teacher,’ and to him those individuals looked who wished to receive and could receive the teachings of the post-Atlantean era. This Bodhisattva spirit of the post-Atlantean era has taken human form many times, but one such interests us in particular. A Bodhisattva took on that radiant human form of the Being of Gautama Buddha — it does not for the moment concern us in what other fashion he was also manifest. And it signified an advance of this Bodhisattva when it was no longer necessary for him to remain in the upper spiritual realms, when his development in the spiritual worlds was such that he could master his physical corporeality to the extent of becoming man as Buddha. A Bodhisattva advancing in human existence is Buddha. The Buddha is one of the human incarnations of the all-embracing Wisdom figures underlying the evolution of the earth. In the Buddha we have the incarnation of that great Teacher who may be called the essence of wisdom itself. The Buddha is the Bodhisattva who has become an earth being. And it is unnecessary to believe that a Bodhisattva incarnated in only the Buddha; for one of the Bodhisattvas has incarnated either wholly or in part in other human personalities. Such incarnations are not all similar; it must be quite clear that just as a Bodhisattva lived in the etheric body of Gautama Buddha, so such a one also lived in the members of other human individuals; and because the being of that Bodhisattva who inherited the astral body of Zarathustra streamed into the members of other individualities, for instance, Hermes, we may — but only if we understand the matter in this sense — call other individualities who also are great teachers an incarnation of a Bodhisattva. It is permissible to speak of ever-recurring incarnations of the Bodhisattva, but we must understand that behind all the men in whom the incarnation took place the Bodhisattva stood as a part of that Being who is the personified All-Wisdom of our world. In this sense, then, we gaze upon the Wisdom-element which in olden times was imparted to mankind from the Luciferic worlds. When we gaze upon this we are looking at the Bodhisattvas. Now in post-Atlantean evolution there is a Being who is fundamentally different from a Bodhisattva and not to be confused with the latter, although this Being of Whom we are here speaking, was once incarnate in a human individuality who at the same time received the in-pouring of the Bodhisattva-Buddha being. Because a man once lived in whom the Christ incarnated and because at the same time the radiations of the Bodhisattva entered this human individuality, we must not take the essential thing in this incarnation to be the embodiment of the Bodhisattva in the personality who was Jesus of Nazareth. During the last three years the Christ principle was predominant and the Christ principle and the Bodhisattva principle are fundamentally different. How can we instance this difference? It is exceedingly important for us to know whereby the Christ, Who was once incarnate in a human body — only once, never before and never after — could so incarnate. Since that time He can be reached by the path which leads to the inner essence of the human soul; before then He was accessible if the gaze, as was the case with Zarathustra, was directed outwards. Wherein, then, does the difference consist between the Christ, between that Being to whom we must ascribe such a central position, and a Bodhisattva? It consists in this, that the Bodhisattva is the Great Teacher, the incarnation of wisdom, which pervades all the civilizations, which incarnates in many different ways; but the Christ is not only a teacher — that is the essential point — Christ is not only a teacher of men. He is a Being whom we can best understand if we expand to the sphere where in dazzling spiritual heights we can find Him as an Object of Initiation and where we may compare Him with other spiritual beings. There are regions of spiritual life where, freed of all the dust of earth, we may find the sublime Bodhisattva being in his spiritual essence and where we may find the Christ stripped of all that He became on the earth or in its vicinity. There we find the origin of humanity, the source whence all life proceeds: the primeval, spiritual source. We find not only one Bodhisattva, but a series of Bodhisattvas. Even as there is a Bodhisattva who underlies our seven successive civilizations, so there was a Bodhisattva underlying the Atlantean civilizations, and so on. We find in these spiritual heights a series of Bodhisattvas, who were, for their age, the great teachers and instructors not only of mankind but also of those beings who do not descend into the region of physical life. We find them there as the great teachers there they gather that which they are to teach, and in their midst is One Being Who is great not only because He teaches, and that is the Christ. He is not alone great because He teaches, rather is He a Being Who works upon the Bodhisattvas who surround Him by manifesting Himself to them. He is seen by the Bodhisattvas and He reveals His Glory to them. The Bodhisattvas are what they are through being great teachers; the Christ is to the world what He is, through His own Being, through His own Essence. He needs only to be seen, and the manifestation of His own Being needs only to be reflected in His surroundings, for the teachings to spring forth. He is not only a Teacher; He is Life, a Life that pours itself into the other beings, who then become teachers. The Bodhisattvas are mighty teachers because from their spiritual heights they enjoy the bliss of being able to see Christ. And when in the course of the evolution of our earth we find incarnations of the Bodhisattvas, we speak of great teachers of mankind, because the Bodhisattva principle is the most essential in them. The Christ does not only teach; we learn of Christ in order to understand Him, in order to recognize what He is. Christ is more an object than a subject of learning. The difference between Christ and the Bodhisattvas is that He is to the world what He is, because the world is blessed by sight of Him. The Bodhisattvas are to the world what they are because they are great teachers. Therefore if we wish to look up to the living being, to the life-source of our earth, we must look at the incarnation in which was embodied not a Bodhisattva (in which this fact was the most important feature of the incarnation) but a Being who did not Himself leave any teaching behind, but who gathered round Him those who spread Gospels and teachings concerning Him over the whole world. The point of prime importance is that no document exists written by Christ Himself, but that teachers surround Him and speak about Him, so that He is the object and not the subject of the teaching. It is a remarkable circumstance and one of utmost importance with reference to the Christ event that nothing has been received from Him Himself, but that others have written about His Being. It is therefore not to be wondered at that we are told we can find all the teachings of Christ in other faiths also; for Christ is in nowise merely a teacher. He is a Being who desires to be understood as a Being; He does not wish to sink into us only through His teachings, but through His life. We may gather together all the teachings in the world that are accessible to us, and we shall even then not have sufficient to enable us to understand the Christ. If men of the present day cannot turn directly to the Bodhisattvas, and with the spiritual eyes of the Bodhisattvas look up to Christ, then they must learn from these Bodhisattvas what can eventually make Christ comprehensible. If therefore we wish not only to become participants in Christ, but to understand Him, we must not only look at what Christ has done for us, but we must learn of all the teachers of West and of East, and we must account it a holy thing to become familiar with the teachings of the whole known world; we must devote ourselves to the sacred task of understanding the Christ in His completeness by means of the highest teaching. We know that in old Indian times men possessed a high degree of clairvoyance in consequence of the relation of the etheric body to the other members; but the time had not then come for this vision to perceive the Christ as anything other than Vishvakarman — a Spirit in distant regions beyond the sense-world. In the time of the old Persian civilization it was first possible dimly to sense the Christ behind the physical sun. It was possible for Moses to perceive the Christ, as Jehovah, in thunder and lightning that is quite near the earth. And in the person of Jesus of Nazareth the Christ was seen incarnated as man. In old Atlantis the majority of the people were instinctively clairvoyant; they could see into spiritual realms. This clairvoyance could not develop further; and withdrew perforce into separate personalities in the West. It was guided there by a Being who once upon a time lived in deepest concealment, withdrawn behind those who had already forsaken the world and who were pupils of the great initiates. This Being had remained behind in order to preserve for later ages what was brought over from old Atlantis. Among the great initiates who had founded mystery places in the West for the preservation of the old Atlantean wisdom, a wisdom that entered deeply into all the secrets of the physical body was the great Skythianos, as he was called in the Middle Ages. And anyone who knows the nature of the European mysteries knows that Skythianos is the name given to one of the greatest initiates of the earth. The three great spiritual Beings and individualities known to us under the names of Zarathustra, Gautama Buddha and Skythianos are, as it were, incarnations of Bodhisattvas. That which lived in them was not the Christ. There is a fourth individuality named in history behind whom for those who have the proper comprehension, much lies hidden — an individuality still higher and more powerful than Skythianos, than Buddha or than Zarathustra. This individuality is Manes, and those who see more in Manichaeism than is usually the case know him to be a very high messenger of Christ. It is said that a few centuries after Christ had lived on the earth, there was held one of the greatest assemblies of the spiritual world connected with the earth that ever took place, and that there Manes gathered round him three mighty personalities of the fourth century after Christ. In this figurative description a most significant fact in connection with spiritual development is expressed. Manes called these persons together to consult with them as to the means of reintroducing the wisdom that had lived throughout the changing times of the post Atlantean age and of causing it to unfold more and more gloriously in the future. Who were the personalities brought together by Manes in that memorable assembly? (It should be remembered that such an event can only be witnessed by spiritual sight.) He called together the personality in whom Skythianos lived at that time, and also the physical reflection of the Buddha who had then appeared again, and the erstwhile Zarathustra who was wearing a physical body at that time. Around Manes was this council, himself in the center and around him Skythianos, Buddha and Zarathustra. And in that council a plan was agreed upon for causing all the wisdom of the Bodhisattvas of the post-Atlantean time to flow more and more strongly into the future of mankind; and the plan of the future evolution of the civilizations of the earth then decided upon was adhered to and carried over into the European mysteries of the Rosy Cross. These particular mysteries have always been connected with the individualities of Skythianos, of Buddha and of Zarathustra. They were the teachers in the schools of the Rosy Cross; teachers who gave their wisdom to the earth as a gift, in order that through it the Christ Being might be understood. Hence in all spiritual Rosicrucian schools the deepest reverence is paid to these old initiates who preserved the primeval wisdom of Atlantis; to the re-incarnated Skythianos, in whom was seen the great and honored Bodhisattva of the West; to the temporarily incarnated reflection of the Buddha, who also was honored as one, of the Bodhisattvas; and finally to Zarathustra, the reincarnated Zarathustra. These were looked up to as the great Teachers of the European Initiates. Within the spiritual life of Europe we find him who was the bearer of the Christ, Zarathas or Nazarathos – the original Zarathustra – appearing again from time to time; in the same way we meet with Skythianos again and the third great pupil of Manes, Buddha, as he was after he had taken part in the experiences of later ages. Thus the European who had some knowledge of initiation looked into the changing ages and kept his gaze fixed on the true figures of the Great Teachers. He knew of Zarathas, of Buddha, of Skythianos — he knew that through them wisdom was pouring into the civilization of the future-wisdom which had always proceeded from the Bodhisattvas and which must be used in order to promote understanding of the greatest treasure of all comprehension, the Christ, Who is fundamentally a completely different Being from the Bodhisattvas and Whom we can understand only by gathering together all the wisdom of the Bodhisattvas. Therefore in the spiritual wisdom of Europe there is a synthesis of all the teachings that have been given to the world through the three great pupils of Manes and by Manes himself. Even though men may not have understood Manes, a time will come when European civilization will take such form that there will be a feeling for what is connected with the names of Skythianos, Buddha and Zarathustra. They give to mankind the material whose study will teach us to understand Christ, and through them our understanding of Him will grow more and more complete. The Middle Ages certainly showed a strange form of reverence and worship to Skythianos, to Buddha and to Zarathustra when their names began to percolate through. From Buddha, Christianity had to learn the teachings of reincarnation and of Karma, but in the older religion they are to be found in an ancient guise, unsuited to modern times. Why are the teachings of reincarnation and of Karma flowing into Christianity today? Because the initiates have learned to understand them in a modern sense, just as Buddha himself after his fashion understood them — and Buddha was the great Teacher of reincarnation. In the same way we shall attain to an understanding of Skythianos, whose teaching deals not only with the reincarnation of men but with the powers which rule from eternity to eternity. So shall the central Being of the world, the Christ, be ever more and more understood. In this way the teachings of the initiates gradually flow into humanity. The spiritual scientist of today can only bring two things in as elementary beginnings compared to what must come about in the future spiritual evolution of mankind. The first element will be that which sinks into our innermost being in the form of the Christ-life; and the second will be an increasingly comprehensive understanding of the Christ by the aid of spiritual Cosmology. The Christ life in the inmost heart and an understanding of the world which leads to an understanding of Christ — these are the two elements. We may begin today, for we are only on the threshold of these things, by having the right feeling. We meet together for the purpose of cultivating right feeling about the spiritual world and all that is born out of it, as well as right feeling towards man. And as we cultivate this right feeling we gradually make our spiritual forces capable of receiving the Christ into our innermost being; for the higher and nobler our feelings become, the more nobly can Christ live within us. We make a beginning by teaching the elementary truths of our earth evolution, by seeking that which we owe originally to Skythianos, Zarathustra and Buddha and by accepting it as they teach it in our age, in the form they themselves know it, their evolution having progressed to our present age. We have reached a point in civilization now where the elementary teachings of initiation are beginning to be disclosed. The Chaldean Oracles are attributed to Zarathustra, the founder of the culture Rudolf Steiner called ancient Persia (5067-2907 BC). He was also the author of the Zend Avesta and the Gathas. The Chaldean Oracles are the penultimate expression of ancient Persian philosophy and creationism, somewhat equivalent to the Hindu Upanishads. Their similarity is remarkable and obviously stem from a common source. The Chaldean Book of Genesis, also written by Zarathustra, is clearly the source of the Hebrew Book of Genesis. Zarathustra embodied all of the highest qualities of a priest-king who ruled ancient Persian religious, political, social, scientific, and daily life. Zarathustra was the sole source of revelation for the Gathas, Zend Avesta, and the cultural folklore that later become characterized as the playing cards, chess, checkers, dice, and other forms of divination of chance. Zoroasterians used these oracles as sources of social, political, and agricultural planning. Many of our modern fruits, vegetables, grains, and domestic animals were crossbred into the standards we still use today. Zarathustra was the father of agricultural, who used a golden knife given to him by the Sun-God to plow the earth for fertility. Roses were crossbred with other trees into our modern fruits that have the characteristic five-petaled blossoms. Lilies were crossbred with the various grasses of the plains and our modern grains were born. Zarathustra was attributed with domesticating cattle, pigs, sheep, chicken, dogs and cats. Many of our modern animal strains were created by his breeding programs. Zarathustra, like Manu, had many conscious incarnations wherein he was repeatedly recognized as the priest-king leader of the ancient Persian culture. Zarathustra had at least six incarnations as the leader of the ancient Persians. He worked tirelessly to inspire that culture through his continuous revelations of wisdom. He particularly understood the workings of the etheric formative forces in nature; those forces of growth that design our genetic future. He was in direct contact with the Solar Logos, the Christ, who was approaching the earth from His throne on the sun. Zarathustra directly perceived Christ in the rays of the sun as they carried the life forces of the undefiled Tree of Life, the pure etheric forces of sound ether and life ether. These forces inspired Zarathustra to become one of the creative architects of modern civilization. Ancient Persians believed in the battle between Light and Dark; Ahura Mazdao (Christ) against Angri Manu (Ahriman). Christ had not yet descended to physical incarnation yet and therefore could be seen approaching the Earth as the renewing life-force of the Sun. Zarathustra taught the message of Christ that was appropriate for his time and place. He communed with the entire host of angelic hierarchies, and thus also the redeemer of all hierarchies, Christ. This close communion between Zarathustra and Christ becomes the human bond that helps birth the forces of Christ in the body of Jesus of Nazareth. Zarathustra again and again comes to sustain his people, just as Vishnu does in the Hindu myths. Zarathustra is a human who becomes myth, so that a myth can become human in Christ. There are few humans that mankind is indebted to more than Zarathustra. We see very little understanding of the ancient teachings of Zarathustra. History and myth become blurred when trying to understand the sources of ancient Persian inspiration. Zarathustra looms like a demagogue on the level of Prometheus, Hermes, Heracles, Orpheus, Theseus, and Pythagoras. It is hard to fathom that one priest-king, Zarathustra, could lead the Persian people for thousands of years through the Age of Gemini just as Manu lead the ancient Indian people through the Age of Leo. It was said of Zarathustra’s book, The Chaldean Oracles, that it was “unlawful to disbelieve” it. Truth and clarity prevail in these clairvoyant descriptions of the processes of creation and the membering of the soul and spirit of the tenth hierarchy, man. Not only the clear hindsight of Epimetheus, but the powerful foresight of Prometheus is found in these writings, which are the crystallization of the ancient oral tradition that originated with Zarathustra and Manu. These ancient traditions are some of the most accurate descriptions of the heavenly worlds and the paths that lead there. The descriptions that arise of the circumpolar regions and the encountering of the wall of color as the guardian to the spiritual world, is one of the deepest secrets of any tradition. The descriptions of the process of offering the higher thoughts, feelings, and deeds of the day to the hierarchy each night is the modern path of initiation for the aspirant. This experience of the “etheric Christ” is spoken of by Rudolf Steiner as the second greatest event of earth history. The first event was Christ’s cosmic deed of His death and resurrection in the Mystery of Golgotha. Christ’s conquering of death and earning eternal life for all conscious human beings (the tenth hierarchy) is the fulfillment of all previous spiritual revelations found in religions, mythologies, and folk-wisdom. The “Mystery of Golgotha” is the turning point of time and the meaning and purpose of all of human evolution and spiritual development. Zarathustra was then, and later became even more, the harbinger of the Christ — his closest companion and spirit-bearer (the original Christ-bearer). The Chaldea Oracles reveal the awe inspiring breadth and depth of the author, who seems more divine than human. They are a key to understanding the larger questions of spiritual history and the “Turning Point of Time,” as Rudolf Steiner calls the death and resurrection of Jesus Christ. Time and space are no limited boundaries for the author of The Chaldean Oracles as he tells us about past, present, and future states of consciousness. Clearly, The Chaldean Oracles are proof that the author communed with the everlasting and spoke with authorities, powers, and dominions. Even the appearance of Christ’s resurrection in the etheric body of the earth is clearly described in pictures of the colored, aurora-wall around Eden-Reclaimed, or New Jerusalem. The path of human sacrifice to redeem thinking, feeling, and willing is shown in detail. Zarathustra is a continuing prophet, king, priest and leader of humanities’ spiritual development. The Chaldean Oracles became so well revered that it was said of them that it was “unlawful to disbelieve” their tenets. The brilliant philosophical wisdom of India shines out in a new fashion through Zarathustra’s words that seem much closer to the human soul than the “removed” teachings of Hindu gods and goddesses and the erudite insight of the Upanishads of Manu and the Holy Rishis. It seems only fitting that we should end this article with words taken directly from the Great Master Zarathustra himself. There is above the Celestial Lights an Incorruptible Flame always sparkling; the Spring of Life, the Formation of all Beings, the Original of all things! This Flame produces all things, and nothing dies that is not reborn in It. It makes Itself known by Itself. This Fire cannot be contained in any place, it is without body and without matter. It encompasses the Heavens and there goes out from it little Sparks, which make all the Fires of the Sun, of the Moon, and of the Stars. Behold! What I know of God! All is full of God, and God is in all! There is in God an Immense Profundity of Flame! Nevertheless, the Heart should not fear to approach this Adorable Fire, or to be touched by it; it will never be consumed by this sweet Fire, whose mild and Tranquil Heat makes the Binding, the Harmony, and the Duration of the World. The Triple Sun is the Light of the Divine Intellect, which is hidden, as it were, in the heart of the Great World Mother as well as in the deeps of the Soul. Love, therefore, supernally descends from the Intelligibles into mundane natures, calling all things upward to Divine Beauty. Truth proceeds through all things, illuminating them all with Knowledge; and Faith proceeds through the universe, establishing all things united in the Good. For that Fire, which is First Beyond, shut not His own Power in matter by actions, but by Mind. For the Mind of Mind is the Artificer of the Fiery Cosmos. For from Him leap forth the Amiliktoi and the thunderings and the whirlwind-receiving vortices of the all-gleaming radiance of Father-begotten Hecate; and the Flower of the Fire, and the mighty breath beyond the fiery poles. The Empyrean Realm is surrounded by a Fiery Wall, which, as it were, separates the Seen from the Unseen, the Apparent from the Unapparent, the Manifested from the Unmanifested. By the Power of the Father is Soul a radiant fire that both remains immortal and is Mistress of Life, and hath, power to fill with plenitude the many wombs of the cosmos. Souls dwell on high in union with the Father living a supernal life according to Divine Providence and transcending the limitations imposed by the laws of Fate; but when Souls descend into manifestation, although these laws are announced to them by the Father, they drink of the waters of forgetfulness, and lose temporarily the memory of their pristine purity and bliss. Having mingled the spark of the Soul with two in unanimity, Mind and Breath Divine, He added to them a Third, Pure Love, the august master binding all. The blending of these three unities in the Soul give to it, throughout all its trials, an unquenchable thirst for beauty, an irresistable tendency towards goodness, and an inextinquishable yearning for truth. For we are not mind alone; but reason and opinion and attention and freewill, and, prior to these faculties, an essence both one and manifold. The Soul, performing when the channels are mingled, can create works of imperishable fire. When the soul is united consciously with this Spiritual Sun then it is at one with the Integral Divine Light from which nothing is hidden, either on earth or in heaven. The Soul is a unity of essence, power, and energy. Hence, the Way of Return is to be found first within the deeps of the Soul where the seal or word of divinity is concealed, and by the interpretation of which the Soul enkindles the light of divine ideas which makes plain the pathway of the Great Ascent to the Holy Paradise of True Piety where Virtue, Wisdom, and Good Law together dwell. Let the immortal depth of the Soul lead thee, and open all thine eyes earnestly to the Above. Seek Paradise, and the Choir of Angels leads up the Soul in a certain manner, appearing about the Soul and causing Her to be full of pure fire, thereby imparting to Her stable order and power. Then the Soul breaks forth in hymns about divine things. Alive in power She runs as an Angel in the Angelic regions lightening Her with the warmth of the spirit. Clad in the full armor of the strength of the Sounding Light, arming both mind and soul with three-barbed might, thou must set in thy heart the whole symbol of the Triad, nor wander dispersedly on the fiery ways, but advance with steadfast tread. For truly Thou art fully-armed and arrayed for battle like unto the Goddess. Her shield is the untamed and uninclining power of reason, but the spear is that power which severs matter’s hold and liberates the Soul from fatal passions. Urge thyself towards the center of the Sounding Light, the Choir of Muses, the harmony of exultant light. Call forth the mystery names of the Gods. Then, the souls of those who have speech will clasp God to Herself: having nothing mortal She is wholly intoxicated with God. The Soul, being a brilliant Fire, by the power of the Father remains immortal, and is Mistress of Life, and fills up the many recesses of the bosom of the World. The Soul does in a manner clasp God to Herself. Having nothing mortal, she is wholly inebriated with God. For she glories in the harmony under which the mortal body subsists. For the Goddess brings forth the Vast Sun, and the lucent Moon. She collects it, receiving the Melody of Ether, and of the Sun, and of the Moon, and of whatsoever things are contained in the Air. Let fiery hope nourish you upon the Angelic plane. The conception of the glowing Fire has the first rank, for the mortal who approaches that Fire shall have Light from God; and unto the persevering mortal the Blessed Immortals are swift.